From the crafty mind of Heidi Kenney (My Paper Crane) comes yet anotherdelightfully delicious keychain series. Heidi expands beyond the donut food group and dishes up an assortment of tastytreats for your keychain. Whether waffles float your boat or you`re more of a pizza person, this serieshosts a buffet of morning time munchies. This item is Blind Assortment. To purchase an entire case of 25 blind boxes, add a single Keychain to your cart, then change the quantity to 25. From the Manufacturer Breakfast of champions. From super-chef and Yummy donut creator Heidi Kenney,comes a fun installment of tasty keychains. 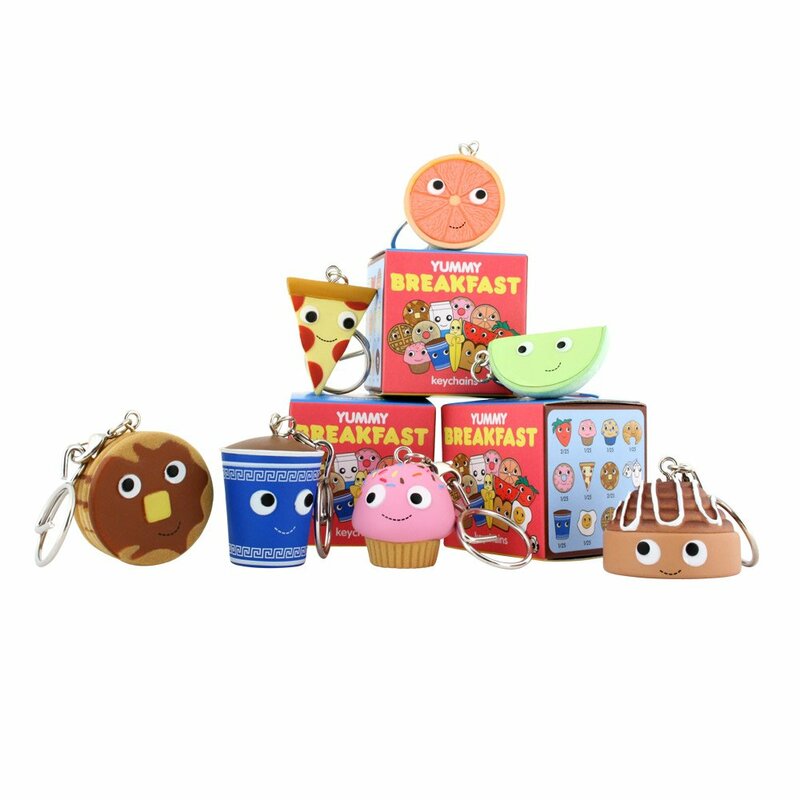 The most important meal of the daynow comes detachable - usable as either a keychain or a giant zipper pull.Represent your love of morning meals - whether you prefer cold pizza, muffinsor hot tea, Yummy breakfast make your key ring and tummy content. AboutKidrobot, Kidrobot is an urban culture and art-driven lifestyle brand. Foundedby Paul Budnitz in 2002, Kidrobot is a community, an exclusive club and asource of expression for a wide range of artists and consumers. Kidrobot hasdeveloped a unique, vibrant, pop art aesthetic, creating toys, apparel,accessories and other products in collaboration with many of the world's mosttalented artists and designers. About Yummy, the Kidrobot Yummy brand isinspired by the plush and 3D soft sculptures of self-taught artist, HeidiKenney. With signature "googley" eyes and a dashed smile, Yummy brings life tobaked goods, fruits, vegetables and beyond. While the Yummy brand isundeniably cute, it also has depth and range, soft enough for your nephew'scrib, friendly enough for your mom's keychain, hip enough for your bestfriend's closet and designed enough for your modern couch.